Over some time there have remained speculations of the mirrorless camera of Cannon. Even though the Cannon EOS M mirrorless fell far from everyone’s expectations, but there are certain things that are worth noticing. Unlike the 1 Series of Nikon, Cannon EOS M mirrorless is not too far from the already-existing mid-range lineup of digital single lend reflect cameras (DSLR cameras). Infact, if you observe it closely, it is will appear more or less like Rebel T4i. With some of the features such as 3-inch 1.04 MP touch-screen which is smidge resistant, t4i’s hybrid autofocus technique, 18 megapixel with APS-C CMOS sensor and DIGIC 5 processor. All these features call for better and accurate performance from the Cannon EOS M mirrorless. Appearance wise, i.e. talking about the external, it is more like a link between the PowerShot G1X and S100. Physically, it looks smaller than G1X and a bit larger than the “fit-to-pocket” S100. The Cannon EOS M mirrorless also offers the sensitivity range according to what is the demand of the competition. This range varies between 100 to 25,600 in the still mode and 12,800 in the shooting video mode. This can be captured in 1920×1080 techniques at 24, 25 and even 30 progressive frames per second. The camera also provides you with the continuous shooting approach at 4.3 frames/second providing fixed focus as well as exposure. As far as the control layout is concerned, it looks familiar to the Cannon point-and-shoot owners. The only difference is that the Cannon EOS M mirrorless replaces the dedicated buttons with the touch-screen. You will find the absence of electronic viewfinder, even though there is full-size hot shoe supporting Sppedlite flashes and also including the all-new EX stroke and ST-E3-RT Transmitter as well as GP-E2 GPS receiver. Cannon EOS M mirrorless still disappoints on certain controls, but it still offers support on the manual shooting, even if you are in video mode. What users will really like is the in-built stereo microphone that also offers manual adjustments of the levels. 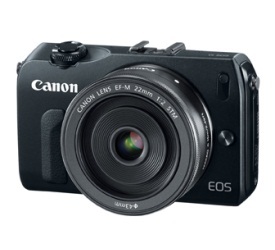 With the 22mm kit optic, Cannon EOS M mirrorless also comes with EF-M 18-55 mm f/3.5-5.6 IS STM lens. 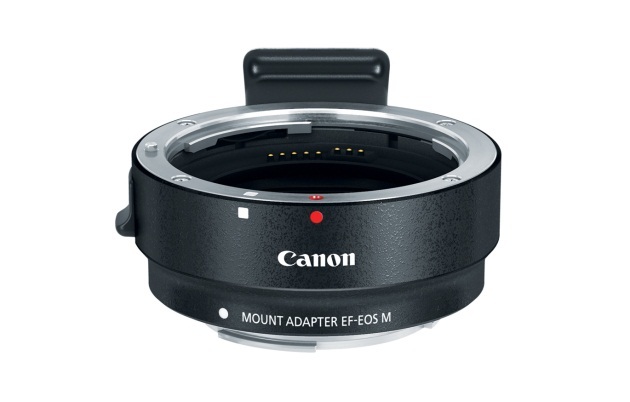 You can also put in some more money to get the mount adapter which you can use with the existing range of lenses. The Cannon EOS M mirrorless is scheduled to be shipped in October. In stores, it will be available in only Black as of now in the retail stores. However, you can find the one in white color at the online stores. Otherwise, the company has announced the availability in four different colors. The pricing details of the camera have not been made accessible still. Nevertheless the camera lovers would love to explore the more of it in the times to come. You can check about its features on the official site of Cannon- the camera maker to offer the satisfaction of growing needs of cameras in the digital world.